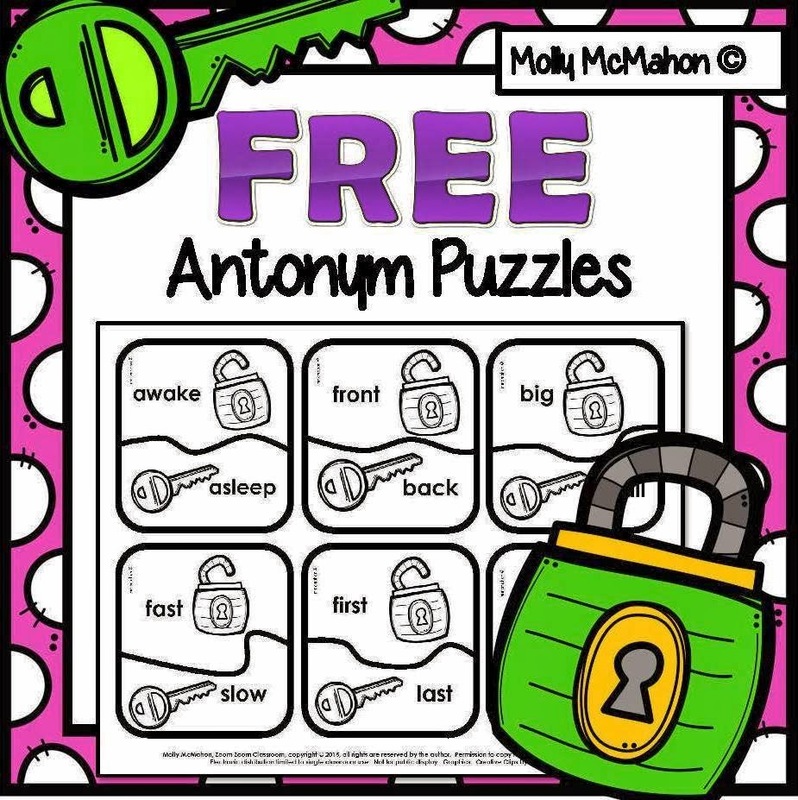 The Best of Teacher Entrepreneurs III: FREE LANGUAGE ARTS LESSON - "Antonyms-Puzzles-Free"
FREE LANGUAGE ARTS LESSON - "Antonyms-Puzzles-Free"
I have a complete set partial set of antonym puzzles. 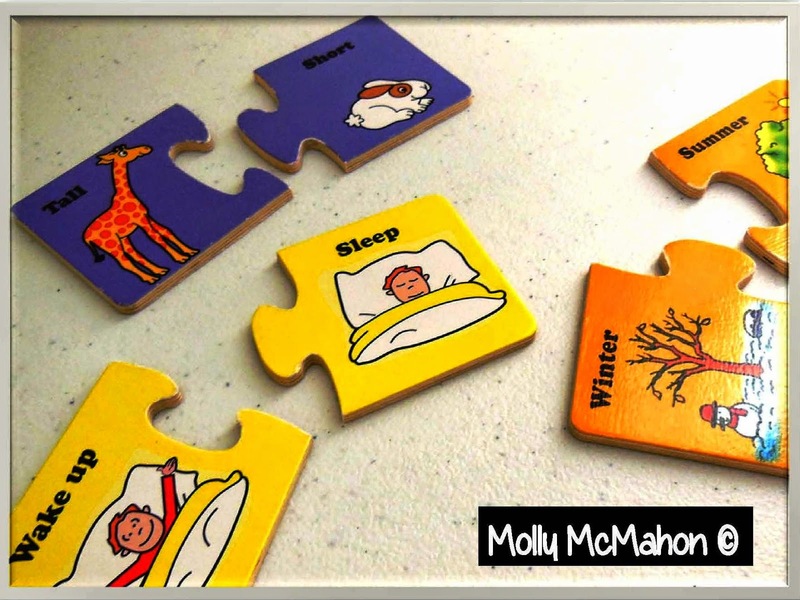 I love the interlocking feature of these wooden two-piece puzzles. 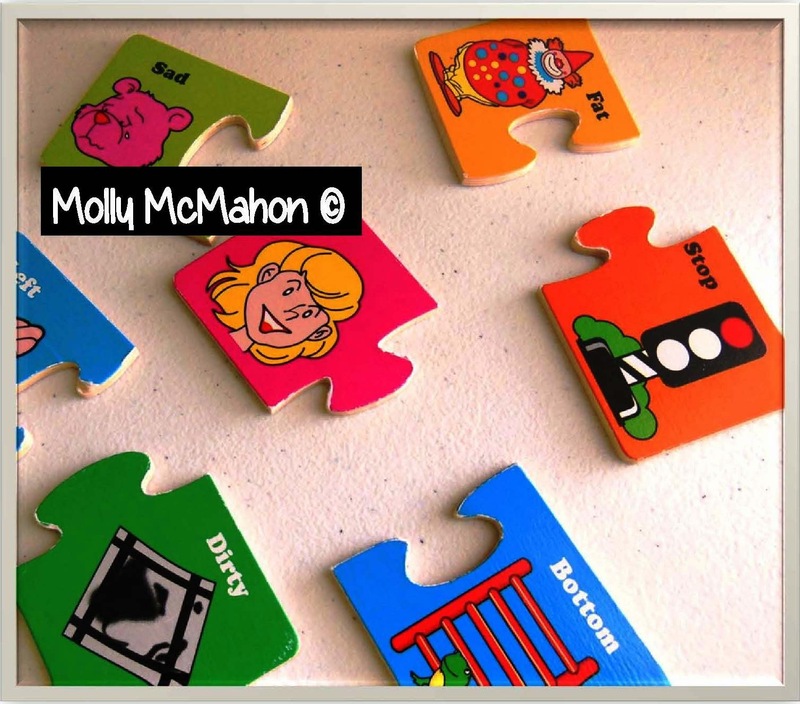 The pictures on each puzzle piece is also helpful to children with limited reading ability. It is a nice prompt for them. This set was used for many years as a literacy center. I don't recall where I got them. I should have purchased a few extra sets . . . . but I didn't. Over time, several of the pieces were lost. This is the reason why I should have purchased extra sets. Especially when they were inexpensive. I should have foreseen the inevitable instead of pretending that I was existing in a "THINGS-NEVER-GET-LOST-CLASSROOM-UTOPIA"! GOOD NEWS! 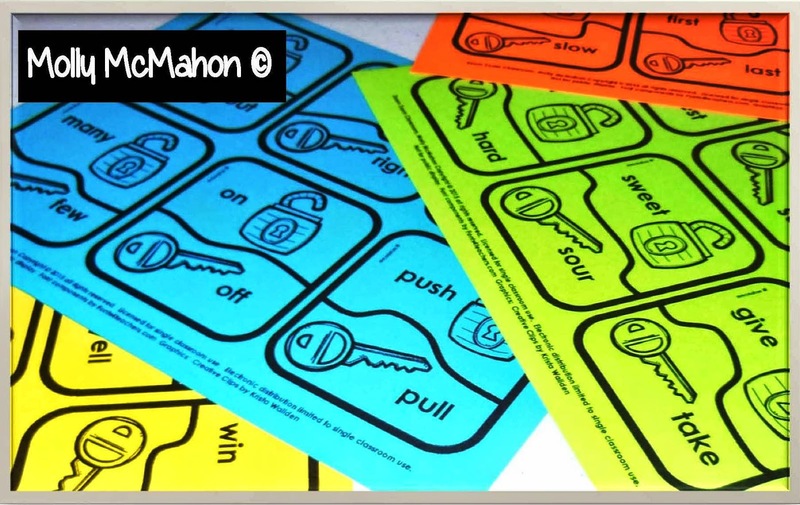 I created two sets of antonym puzzles. These puzzles don't have the interlocking feature that the wooden puzzles have. They are made of card-stock. Nonetheless, they work reasonably well. Best of all, I will never worry about losing pieces. I can always print more! There is a minimal amount of time in preparing the puzzles. Print on card-stock paper and cut on the solid black lines. You will have an instant literacy center! 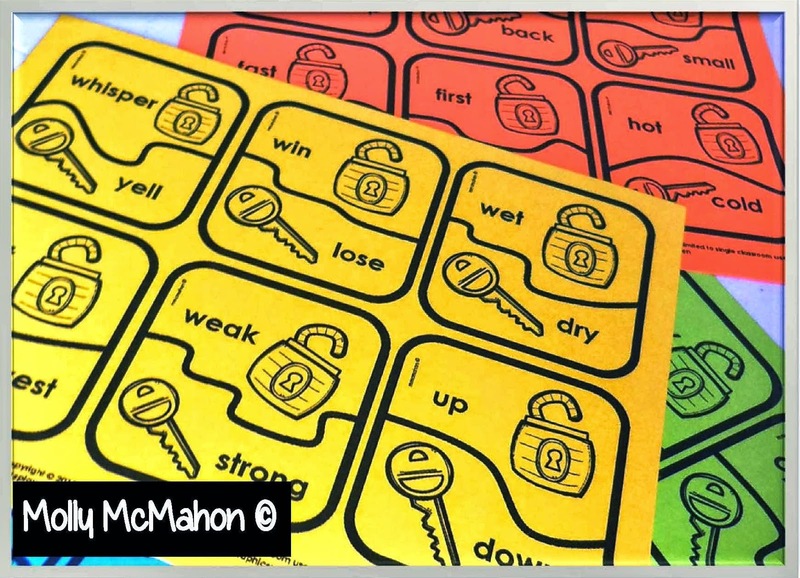 My two-piece antonym puzzles do not have the image prompts as the wooden ones shown in the first photo have. 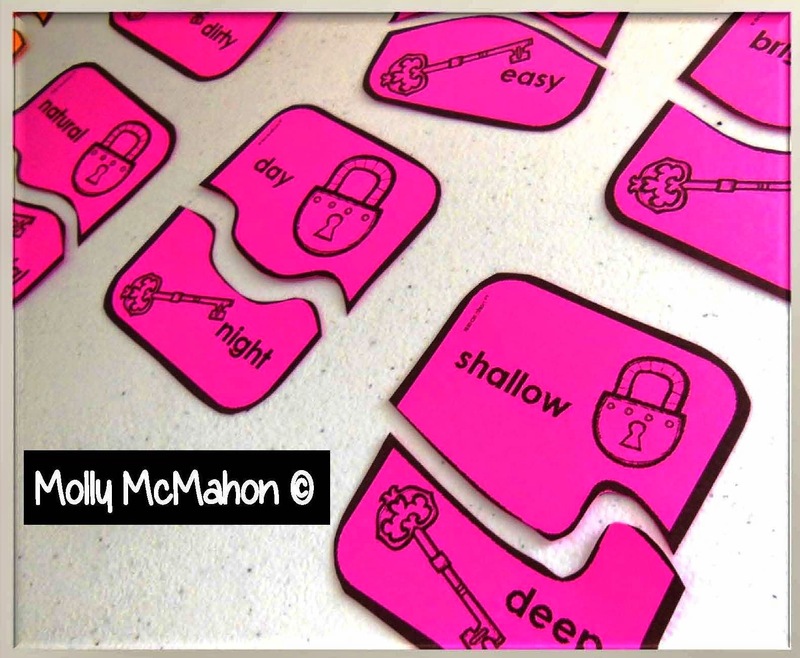 Students will need to be proficient readers to use these paper puzzles. There are two sets of puzzles. The first set uses basic words. The second set is a step above set one. I'm measuring set one at second and third grade level. Set two will be for third and fourth grades. If you have advanced first and second graders, they may enjoy using both sets. 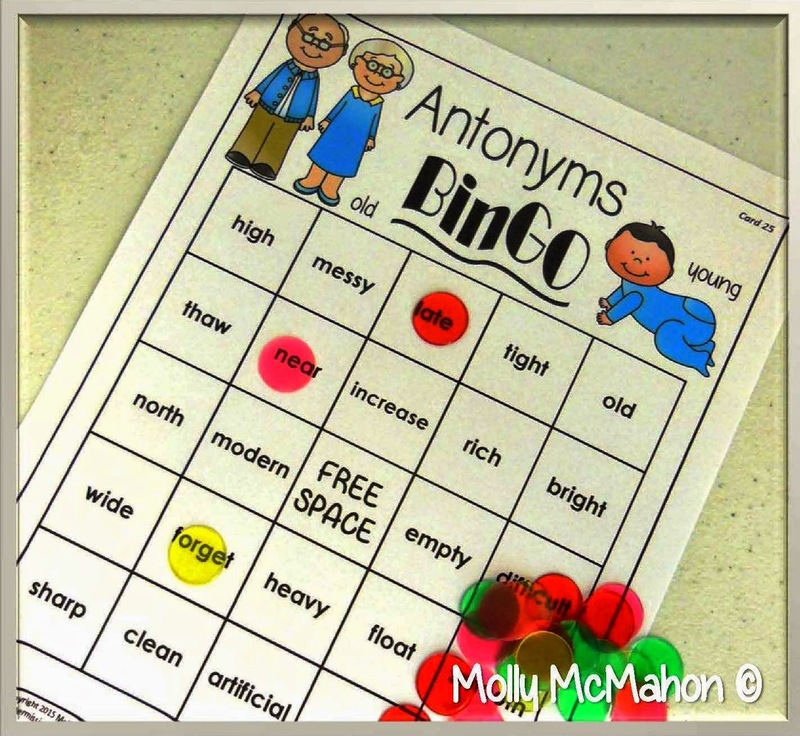 The words used in these antonym puzzles align with my antonyms bingo games. 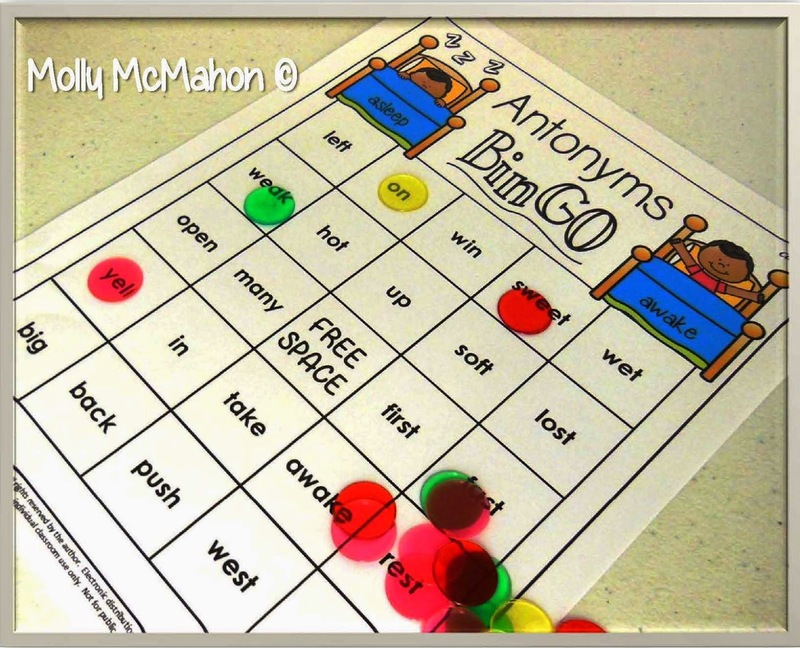 Antonyms are woven into the Common Core State Standards. If you teach in the state of Virginia, they are also in the Standards of Learning. 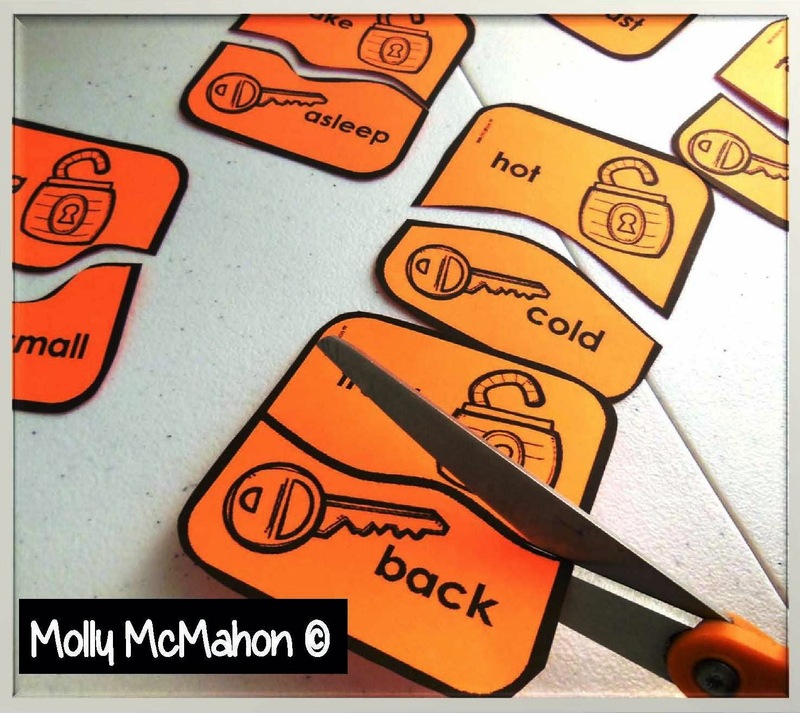 If you are interested in finding out more about my antonyms resources, click on either of the two images shown below to view another blog post on the subject.